Scroll down for Parts 1, 2, 3, 4 & 5. It has become obvious, even to me, that it would take a writer with skills far exceeding my own to realistically impart the mixture of tension, fear, hope and longing that gripped the Curmudgeon household in those first days after Long Suffering Spouse and Younger Daughter returned from their errand of mercy in Indianapolis. So we must advance the narrative. I was never clear exactly what "light duty" involved, although exit interviews and telephone follow-ups were part of it. She was taking all sorts of medications throughout, including shots that her husband had to administer each morning, to help her "hold" the child. Still, by Wednesday, Older Daughter was getting worried. She'd experienced some cramping. There were other symptoms, too, I suppose, but they just didn't register with me. I was having a hard enough time just coping with the concept that there might be some problem. Once that datum penetrated my thick skull all else went largely blank. We were at DEFCON 2 at least. But there was nothing -- nothing -- Long Suffering Spouse or I could do about it. You know, when the saber tooth tiger roared into the mouth of the cave recently occupied by Mr. and Mrs. Troglodyte and their offspring, the adrenaline level of the pater familias would surge for a reason: The cave man would have that split second to decide to fight or flee, and he could use that hormone boost in support of either decision. My adrenaline was slopping over the sides of my mental bathtub, but I had no decision to make and neither fighting nor fleeing would make anything better. Long Suffering Spouse stayed late after school as usual, tutoring students, talking with a couple of colleagues, readying the classroom for the coming day. It wasn't dark out yet -- the Sun lasts a little longer in mid-February in these latitudes than it did even a month before -- but it was near dusk and the blinds in the den were closed anyway. Thus, she couldn't help but see, almost as soon as she got in the house, that the red message light was flashing on the phone. Younger Daughter's prescription was now ready for pick-up. "Younger Daughter?" thought Long Suffering Spouse. "What is the matter with her now?" If you've been following this narrative, you know that Younger Daughter's health history has been pockmarked with illness. The stress of the situation with Older Daughter may have gotten to her, thought Long Suffering Spouse, as she reached for her cell phone. "What's the matter with you? What have you got?" Long Suffering Spouse was in no mood for idle pleasantries; she went straight to the heart of the matter. "Don't give me that, child. The pharmacy called. Your prescription is ready. What's wrong this time?" "I'm not sick, Mom. It's just vitamins." "Vitamins? You don't get vitamins from the pharmacy." "Mom! The wrong daughter is pregnant!" Scroll down for Parts 1, 2, 3 & 4. Long Suffering Spouse returned from Indianapolis on Sunday, or at least her mortal shell returned, and I had undertaken the solemn duties of preparing for the week to come. I did the laundry as I usually do on Sundays. I also assumed the task of laying in groceries; it became obvious that I'd need to do this because Long Suffering Spouse's departure from Indy kept getting delayed. (I only had to call my wife three or four times to clarify items on the grocery list.) I'd even gone to Mass on my own; mentally calculating the latest changes regarding the return of Long Suffering Spouse and Younger Daughter from Hoosierland, I realized I should 'take one for the team' and handle the church-going duties solo. It was Super Bowl Sunday. There would be a 6:00 pm Mass but there was also a Super Bowl Party at the Parish Center and the parking lot would be jammed. Long Suffering Spouse would be exhausted and, at some point, we would have to return Younger Daughter to her dormitory. We did anything we did absently. In a fog. Our conversation revolved around the visit to Indianapolis -- and, really, solely around Older Daughter. Would she "stick?" There was a 70% chance, according to the experts, who'd upped the odds from 50-50, they said, by waiting for five days (instead of three) to attempt implantation. I liked the odds, I said. Long Suffering Spouse said she liked the odds, too, but she wouldn't be happy until things were much further underway. I wouldn't be happy, I replied, until one or more babies was brought home, healthy, from the hospital. We watched the Super Bowl (the game -- in Indianapolis this year, of all places -- was arguably better than the commercials -- who'd have thunk it?) and I fielded a few texts from other offspring (Middle Son said everyone at his party loved the M&M's commercial, while I had thought what the shell is this all about?) but mostly Long Suffering Spouse and I talked about Older Daughter. Long Suffering Spouse's phone went off. It was Abuela -- again. Long Suffering Spouse had talked long and hopefully with her mother for some considerable period of time already that day. But Abuela was not calling to rehash these matters. No, she was calling in a dither. She'd been down to the basement and discovered, to her horror, that the cover over the sump hole had collapsed. Disintegrated, in fact. Giant sewer rats could even now have detected this weakening in the defenses of her home and might be massing for an invasion. Now, that brief paragraph above is a hard-won summary of a much, much longer conversation, mostly in Spanish, with Long Suffering Spouse trying to translate for my benefit in the rare pauses in the torrent of words. Having leaped to the conclusion that giant sewer rats were about to ascend to her basement from their usual subterranean depths, Abuela was certain that a plumber must be summoned. Or a sewer contractor. Maybe both. Flamethrowers might be necessary. I'd already begun to suspect that the sump pump cover was all that was involved -- I've spared you the dramatic tension leading to this conclusion by revealing the ultimate conclusion in the introduction to this scene -- and now my efforts were bent toward keeping Abuela from interrupting anyone else's evening. Naturally, therefore, Long Suffering Spouse and I would have to come over and inspect the dangers for ourselves. It was almost halftime. Having calmed her as best we could, Long Suffering Spouse and I got back into the family van for the short trip home. I turned on the radio and found that the third quarter of the Super Bowl was just underway. I wouldn't find out for some minutes about someone I'd never heard of 'giving the finger' to the Super Bowl audience. I remember when "Up With People" provided the halftime entertainment at the Super Bowl. They never gave anyone the finger. Even off the field. Long Suffering Spouse was philosophical on the trip home. "We worry about things, but life goes on regardless," she said. It didn't stop us from worrying about Older Daughter. Or talking about it. Nor did we stop Abuela from calling the plumber. Scroll down for Parts 1, 2 & 3. In theory, you've been on the edge of your seat since you finished reading Part 3, wondering whether Older Daughter would "catch" or "take" or whether the implanted eggs would "stick." These are rather homely words to describe the miracle of life, don't you think? Yet, the sentiment behind the gooey pastries and card inscribed 'thinking sticky thoughts' that was delivered to Older Daughter by her concerned fellow nurses was not homely at all. But, despite your curiosity, we have to move the spotlight away from Older Daughter for a moment. You'll recall that, because I couldn't go, Long Suffering Spouse took Younger Daughter on the pilgrimage to Indianapolis. Younger Daughter is a senior in college. Regular visitors may recall that Younger Daughter has a long-standing boyfriend (and chauffeur), Olaf. Younger Daughter has also had more than her share of health problems. There was the time Olaf summoned us to the ER in the middle of the night because she was so violently ill. And, a quick browse of the archives today reminds me of a time when I was forced to take Younger Daughter to the doctor -- on the linked occasion for a recurrence of shin splints. Because I am self-employed, I have been the designated driver for many of Younger Daughter's medical misadventures. I don't seem to have blogged about it previously, but I have even had occasion to accompany my daughter to the, um, female doctor. Men, if you think it's awkward to go with your wife to the OB/GYN, it's 10 times more awkward, maybe even 100 times more awkward, to take your daughter. But over the years, Younger Daughter has had a number of occasions to go see the, um, female doctor. I may not be able to summarize her history here with complete accuracy, mainly because I tend to put my fingers in my ears and yell na-na-na-na-na-na whenever the topic is broached, but, as I understand it, there's something she's supposed to have, er, periodically, that she doesn't always have. This is apparently a bad thing, according to the medical people. Indeed, from what I understand, the doctors considered Younger Daughter a fertility problem waiting to happen. Older Daughter's plumbing is up to code, according to these same experts; it's Hank's wiring that's slightly out of order. But Younger Daughter's machinery was totally messed up. Indeed, she's been on the Pill since high school -- yes, that Pill -- because apparently something in that is supposed to prevent whatever bad situation she has from getting worse. Younger Daughter is not a sickly child, but you have probably noticed that some people catch every bug and some people seem to miss every passing epidemic. Younger Daughter tends to the former category. She comes home regularly (her college is nearby) to eat, if nothing else, because the dorm food also makes her sick. When she's healthy, Younger Daughter is an active, energetic person; she just gets sick too darned often. She was acting kind of sickly on the weekend jaunt to Indy. She was also not attacking her breakfast with her accustomed vigor, to the point where Long Suffering Spouse called her on it. "If I didn't know better," she said, "I'd think you were pregnant." Scroll down for Parts 1 and 2. Having satisfied all demands, reasonable and otherwise, made by the IVF people, Older Daughter and Hank were finally admitted to the program. (Hank's parents had come through with large bundles of cash, something Long Suffering Spouse and I were unable to do.) Older Daughter was pumped full of hormones designed to stimulate egg production and she was somehow measured every day, or every other day at least, to determine how many eggs she'd produced. Meantime, Older Daughter was laid low by a virus. As a nurse in a children's hospital, Older Daughter is routinely exposed to any number of loathsome diseases. Put it this way: If I so much as drove past that hospital, I'd almost certainly come down with six different varieties of the creeping crud. But Older Daughter's resistance is usually pretty good -- one can't really function in that setting were it otherwise. Her coming down with a bug, I suppose, was evidence of the extraordinary stress she was under. Naturally, the IVF people, having observed Older Daughter's shaky health, provided their own unique brand of comfort by threatening to suspend her treatments. You see, you can't get pregnant if you are stressed or if you're not at the peak of physical condition. This will come as news to many, I'm sure, many of these people being referred to more precisely as "mothers." Naturally, Older Daughter, being supersaturated with hormones, took the news well. In a pig's eye, she did. My wife could hear her screams and sobs without a telephone. And we're in Chicago. Older Daughter is in Indianapolis. Having backed off that threat, for the moment, the IVF people then began to judge the quantity and quality of Older Daughter's eggs. There were four. No, there were 7. Or was it four after all? They're not growing fast enough. Not enough are growing. Let's increase the hormone levels, shall we? Finally, it was decided that there were enough eggs, of sufficient size, to warrant their extraction. Long Suffering Spouse tried to explain the procedure to me. After I revived from my faint, she tried again. Eventually, she gave up. Seven eggs were removed. Five appeared to "take." Older Daughter and her husband were deliriously happy. The next question was whether they should wait three days or five days before implanting -- putting the now-fertilized eggs back. Meanwhile, the ova were cultured in a petri dish, waiting to see how they'd grow. The theory is that, if waiting three days is good, waiting five days are better: The strongest candidates for implantation can be chosen and the best chance of producing a healthy child is achieved. They decided to wait five days. That meant waiting until Friday for the big day. In the meantime, three stopped growing. But on Friday morning the two survivors, including one which had been the littlest of all when the process was begun, were returned. It was decided that Long Suffering Spouse would go to her daughter's side for the weekend. She would cook. She would clean. She would see that Older Daughter stayed on the couch, as stationary as possible, because, you see, the fertilized egg can not attach to the uterine wall if one does not hold perfectly still. Let's review: You can't get pregnant if you're stressed, but the IVF people can lard you up with hormones, extort you, and threaten to drop you at every turn. You can't get pregnant if you're not in perfect physical health. And you can't get pregnant if you so much as move for days after the egg is fertilized. It's a wonder anyone was ever born, isn't it? I did not accompany Long Suffering Spouse on this mission of mercy. This was the weekend I moved my office. I really didn't have a choice: I had to be here, in Chicago, at the Undisclosed Location, trying to get set up. Younger Daughter therefore took my place. Thus, it was a road trip and a slumber party weekend. 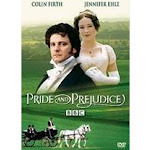 By way of illustration, Long Suffering Spouse took along the Colin Firth version of Pride and Prejudice. Long Suffering Spouse went into full Mom-mode. She cooked, she cleaned, she fussed, she comforted, she fetched, she carried. Her every action was a prayer that her daughter would become pregnant. I know Older Daughter's brothers were praying that their sister would become pregnant, too. And Abuela, Long Suffering Spouse's mother, was praying too. Long Suffering Spouse reported that Hank's initial excitement had apparently waned. Indeed, she thought, he seemed a little out-of-sorts, a little mopey. But he made breakfast for them all on Sunday morning. Long Suffering Spouse thought he might just be acting cautious, afraid to let his hopes get too high. Older Daughter had enough irrational exuberance for them both. "She's so happy," Long Suffering Spouse told me on the phone. "So happy." Scroll down for Part 1. In the checkered history of Chicago crime there have been loan sharks, extortionists, hit men.... One infamous illustration in the enforcement of a lapse in discipline among the associates of an organized crime family involved the squeezing of the unfortunate lapsee's head in a large vise, conveniently located in his basement workshop. His eyeballs popped out first. Then his head more or less exploded as the vise was tightened still further. Now I don't recount this event merely to ruin your appetite but, rather, to reassure you that, as a native Chicagoan who's been around some, I have developed something of an appreciation for criminality when practiced at an extreme level. The habitual jaywalker does not command my attention. A mere pickpocket is beneath my notice. Even the thug who bashes his victim with a pipe before stealing a purse does not impress me. And not just because I have attended meetings of the Chicago City Council either. Thankfully, I have managed to avoid direct contact with most among the criminal classes (meetings at City Hall aside); indeed, part of my ceaseless study of the seamy underside of society is to help me recognize it when I spot it at a distance and avoid it to the extent humanly possible. So when I say that Older Daughter's descriptions of the tactics employed by the IVF clinic reminded me of the worst sorts of criminals ever set loose upon this earth, I do not speak as some naif who blanches at the first whack of the knee cap (assuming, of course, that the knee cap is not my own). These people take full and complete advantage of couples who are desperate to have children. They did, admittedly, enter into a written contract, giving them three shots at a baby for an allegedly prix fixe, complete with a possibility of partial refund if certain contingencies occurred. Of course, the amount would have to be paid up front and in full; as any reader of fairy tales can tell you, possessory liens on first-born babies can get complicated. Like the prix fixe at a fancy restaurant, the stated price for the IVF was eye-poppingly large (this without a vise). I was asked to read the contract, of course. It was sprinkled liberally with trap doors -- one false move and the couple can be booted out of the program. But, along with Hank's father (Hank's father also having trained as a lawyer), I concluded that there were two choices: Their Way or No Way. And many of the trap doors were merely designed to render the possibility of refund illusory, not necessarily to excuse any obligation to at least attempt performance. But this allegedly prix fixe contract soon reminded me of the slimiest used car dealerships as opposed to the fancier restaurants. "So, you like the car, do you, bud?" says the ugly man in the uglier plaid coat. "Nice price, too. But maybe you're gonna want an engine with this baby. That's extra." As medication was extra with the IVF contract. That's not an exact quote; it captures the essence, however. Through all this, as they mortgaged their future, Older Daughter and Hank were expected to remain cool, calm and collected. The procedure won't work if you get upset. Long-time readers (or really good archive browsers) will recall that Older Daughter got married in July 2009. She and her husband Hank live in Indianapolis (Hank's hometown) where Older Daughter works as a nurse. Their union has not yet been blessed by children. With many young couples during the first several years of their married life, this is not an issue: The young people need to get established in their careers, acquire some of life's necessities, pay down their college loans -- that kind of stuff. Besides... a young husband and wife have to learn to live with each other. That's not always easy, and it can get really complicated when children arrive. A lot of young couples go out and get a dog before they get around to producing issue; the dog becomes a practice-child. Older Daughter and Hank got a dog. But they wanted a real child. They've wanted a child for some time now. There are some areas that a father does not discuss with his daughter, certainly not in any detail, but I have been reliably informed (by Long Suffering Spouse who also, thankfully, spares me most of the details) that the young people worked at the project for some time before deciding that something, or someone, must be amiss. They consulted medical professionals and submitted themselves to a battery of humiliating tests. The doctors concluded that Older Daughter's plumbing was in good working order but that Hank could do with a little work. Hank submitted to surgical intervention. There will be a brief pause while I cringe. There were more humiliating, highly personal tests. Apparently Older Daughter and Long Suffering Spouse actually talk about this stuff. Apparently in detail. I can't even think about it without cringing. Anyway, the passage of time (and, presumably, the resumption of normal relations, but -- again -- I don't talk about these things) failed to yield the desired result. Older Daughter and Hank sought out a fertility specialist. After still more humiliating and invasive testing, they were deemed candidates for in vitro fertilization (Wikipedia spells it 'fertilisation,' but that looks wrong to me and the Blogger spell-checker). IVF -- a test-tube baby! This is something that was confined to the realm of science fiction for much of my life (Louise Brown, the first 'test-tube baby,' was born in 1978). I consider myself a good Catholic, but I think that if the Church is reflexively opposed to IVF, it is confused. There is no question that the Church is right to be opposed to IVF where conception can be achieved in the natural course (the rumors about the 'turkey baster' and Michael Jackson come unwillingly to mind); nor is the Church wrong to encourage adoption as the safest and most morally responsible course for infertile couples. Also, there are techniques and procedures engaged in some IVF clinics that are destructive of human embryos, before -- and apparently even after -- implantation. These practices can be condemned without rejecting IVF outright. There are ethical objections and issues that responsible medical practitioners can address and accommodate. The Church should not automatically condemn couples who seek to have their own biological children where reasonable and responsible safeguards are observed. There is no deeper instinct in any species, with the sole possible exception of self-preservation, than the instinct to pass one's genes along to the next generation. If the Church truly condemns all IVF at present, it may be that this stance is a legacy of Pope Paul VI's Humanae Vitae. But it must be remembered that this encyclical was issued in the 1960s, before IVF was actually possible (although it was horrifyingly imagined in Aldous Huxley's Brave New World). I have faith that the Church will catch up with science on this, with appropriate ethical guidance and safeguards. In the meantime, Older Daughter and her husband were going to try IVF. I won't tell the Pope if you won't. Before a volcano erupts, scientists tell us, there are often warning signs: Tremors, sudden land level rises, steam or gas escaping from fissures in the ground. I'm going to erupt, I think, pretty soon. But let's start with the small stuff. The petty aggravations. The kinds of things that had me red-in-the-face, eyes bulging, hot under the collar furious before 8:30am yesterday. Then, later this week, time (and Internet access) permitting, we'll get to some of the stuff that's really making life complicated in the Curmudgeon family. Oh, yes, I begin with Internet access. I've already told you how I moved this month from the Undisclosed Location about 35 feet straight up to the Teeny Tiny Law Office. Actually I still haven't surrendered the keys to the old location, but that day draws near. One of the smoothest parts of the move was the transfer of our Internet service. In the last several months, we've had enormous difficulty with the Internet -- we were off line between August 24 and September 20. We fired our former ISP (who may yet sue us) and went with a large, well-known phone company (we'll call it AT&T) because our tenant had enjoyed reasonably reliable service with that company. Note: "had enjoyed." Past tense. We've had all sorts of troubles since. In January, I wrote about how our Internet had gone down and come back for no apparent reason. At one point, you may recall, I thought we were stealing someone else's wireless signal. We weren't. My remaining colleague in the Undisclosed Location had bought a new router with a wireless feature. Somehow, we were accessing the Internet via the unsecured wireless signal instead of the cord plugged into the wall. Days of my life were lost in trying to figure that out. But moving the service had gone smoothly earlier this month. They turned us off on Friday afternoon. By Saturday morning I was plugged in here at the Teeny Tiny Law Office, reading the comics on line just like always. In the middle of last week, though, my colleague received a voice mail advising that a technician would be coming out Monday to install our "new" service. We didn't order new service. Then, Thursday, I was working on line -- actually working, mind you, attaching a document to an email to be sent to another lawyer -- when the Internet went down. I looked at our closet-where-the-wires-reside -- a much simplified version of the Rats' Nest of equipment that clogged the storeroom of the old Undisclosed Location -- and saw the blinking red light on the Uverse modem. I tried resetting it. That sometimes works, you know -- just unplugging and waiting a few moments and plugging back in -- but, of course, it did not work on this occasion. I braced myself for the Passage to India. Funny thing about AT&T Uverse. They provide one number for Ordering or Billing and one number for Ordering, Billing or Support. They put these on two different lines on the bill as if they were different numbers. So before one can even get to India one must first run the gamut of bill collectors. Our bill was paid up. AT&T wouldn't let me move my phone without clearing up not only the bill that was a day or two late -- they effectively held me up for next month as well, claiming they'd also not received the payment for the month before. This was total fiction. But the person looking at the computer screen in the AT&T Anti-Customer Disservice Center believes whatever flashes on that screen as if it were Holy Writ. Anyway, to make the move, we had to be current on our bills and then some. And we were. And thus I was in no mood for some woman who sounded like she was auditioning for a Li'l Abner revival who tried to tell me that our Uverse bill was not one, but two months in arrears and, indeed, we'd been sent a disconnection notice. I kept my language moderate, if not my tone, meaning I eventually shouted her into stamping my telephonic passport to India. But not before she punished me. First, she decided that I was not authorized to talk to AT&T about this service. It's my service. The initial order, however, had been placed by my colleague who did put it in the corporate name that we formed for these shared responsibilities. The account "password" was the last four digits of my phone number. I've been the person making all the calls for repairs since the system was put in -- and there've been a few. But no matter. For purposes of "security," I had to be authorized to be on this account all over again. Then, having grudgingly agreed to connect me to technical support so I could try and restore my service, she connected me to the AT&T Uverse "home" support folks, as opposed to the AT&T Uverse "small business" support folks with whom I was supposed to talk. But -- eventually -- I got to go to India. Whereupon I had to explain, all over again, how I'd tried all the steps I can try from my end to restore the connection. He tried all the things he could do from the suburbs of Mumbai (or wherever) to restore the connection. Eventually, after another hour of my life was gone forever, he finally conceded that a technician would have to be dispatched to make repairs. If the fault was in my equipment, I would have to pay; if it were on AT&T's end, I would not. And how, I wondered, would I be able to trust whatever was finally said? But I did not say it. And the Indian gentleman did say something about this service being scheduled for replacement next week, but I told him that was silly. We have service. We didn't discontinue service. We moved it about 35 feet vertically. He said a technician could come between 5:00 and 9:00pm. I said, as politely as I could, that this was a place of business (at least it had been -- now, it seems, it is merely a place where we grapple futilely with the technological marvels of the age). As it turns out, declining to wait until 9:00pm proved to be a very good idea. But that's for later. In the meantime, he suggested that someone would come by between 8:00am and noon on Friday and I agreed. Anyway, Friday, I had Internet. I arrived at the Teeny Tiny Law Office early Monday morning, wearing blue jeans and a flannel shirt (yesterday being the official observation of Lincoln's Birthday, a court holiday in Illinois) prepared to clean my desk and hang my pictures and otherwise get more settled in and ready to do business going forward. But I wanted to check my email first. The Internet was gone again. Rushing to the front closet -- the modem flashing red -- me flashing red -- eyes bulging -- roaring to the heavens. I tried calling AT&T Anti-Customer Disservice. I couldn't get past the stupid, simpering computer voice who kept saying I was not entering anything he/it could understand. I punched zero, zero, zero, zero. But the computer stoutly defended its Anti-Customer Disservice staff from speaking to a crazed attorney. There is an AT&T office building nearby my Undisclosed Location. I ran over there, in search of a human. The security guard was a nice, pretty young lady who looked carefully from side to side before telling me that there were no customer service people in that entire building and that she had discontinued Uverse herself because of its unreliability and poor customer service. I couldn't yell at her now, could I? Anyway, she gave me a different 800 number to try and I tried it. It still led to the same computer-voice Phone Hell. But I was calmer now and eventually was connected with a human. The human put me through to India. There I was told that my service really had been cancelled and that a new service was scheduled to be installed between 1:00 and 3:00pm. I tried to reason with him. I pointed out the absurdity of what he was saying. He made sympathetic noises. But -- it seems -- I am not authorized for this "new" account -- I didn't place the order. Since no one did, I am not surprised. But AT&T thought my colleague did. He had come in while I was howling into the phone and decided to go out on errands until matters settled down. So he was unavailable to set them straight. Besides, in four or five hours, some poor schmuck would show up with orders to install a "new" service and we'd be back on line anyway. I could either spend that time pleading in Mumbai or hanging pictures. I hung pictures. We're back on line. My colleague had left for a meeting by the time the installer showed up, so once again I was the point person for this wholly unnecessary transaction. But I'm not authorized on the new account. Sometime later in the afternoon, one of the building engineers dropped off a flier for Comcast. Comcast, it seems, is moving into our corner of the Loop, hoping to compete with AT&T. They should. I have Comcast cable at home. Their anti-customer disservice is at least as bad as AT&T's. And they charge a king's ransom for their execrable service. Indeed, the remotes on my cable box stopped working normally this weekend. They will still change channels, but the signal is not being received properly and one has to change channels one at a time. (And, yes, I changed the batteries.) With 500 channels -- and nothing on -- this gets old real fast. But I just don't have the heart to call them yet. And all of this, aggravating as it is, isn't a patch on what's really going on. If, of course, I have access to the Internet. Just another thing we never had to think about: How do you sign a birthday card to a daughter-in-law? Oldest Son married Abby in 2010 and I honestly don't know what we did last year. But it was Abby's birthday again this week (they seem to come about once a year, generally) and my wife was insistent that we would send a card. The people of the world may be divided into two types: Card people and not card people. But this is an easy one: Women are card people, men are not. Some men can be trained into producing hastily-bought cards for occasions insisted upon by their card-person spouses. Maybe there are even some men who voluntarily buy (and even shop for) cards, but these have to be a tiny minority. Despite Long Suffering Spouse's best efforts, I continue to view card buying as a waste of money. And my poor wife knows that even the thought of carefully shopping for a card chills my blood. After nearly 30 years of marriage, that still sometimes bothers her. I would submit that men are basically indifferent to card-giving, not averse, but either way it makes sending birthday greetings to our son-in-law Hank quite easy: My wife reminds me to fire up the old Facebook and write "Happy Birthday" on his wall. Which I do. Problem solved. But Abby is different. Long Suffering Spouse longs to establish cordial relations with Abby. Abby is not hostile -- don't misunderstand -- she's just not close. Her husband (our son) is the same way. He wasn't even cuddly as a baby. He's very correct, very dutiful and (particularly since he's met Abby) even pretty nice. But he was ready to move out of our house in junior high. He's a little... distant. He and Abby are well-matched. Long Suffering Spouse has taken her measure of Abby and knows that she can't become close overnight. She must take baby steps to build a relationship. Thus, the birthday card this year took on great significance. Oh, I was expected to (and ultimately did perform) my Facebook duty. But that was not enough. We absolutely had to send a card, too. A card that my good wife carefully picked out, agonizing over the choice. She thought it struck just the right note. (Don't ask me to recall what it said; all I really noticed was that it conveyed birthday greetings as intended.) But choosing just the right card was not enough... how would Long Suffering Spouse sign it? "'Mom' won't do," Long Suffering Spouse explained. "That's presumptuous." But her first name wouldn't do either. "'Your mother-in-law' sounds cold." Eventually, Long Suffering Spouse signed the card, "Your other Mom." She called me over and handed me the pen. "Here. You sign now." She looked away. I signed, "Your other Dad." And I remembered to mail the card and everything. Pretty good, I thought, for a male. Have you ever noticed how, despite the fast pace of modern life, or perhaps because of it, we seem to spend an awful lot of our time... just waiting around? I started typing this post early this morning... waiting... waiting for the shredder to call. When I moved to this Teeny Tiny Law Office I knew I had to thin the herd of stored stuff. Lawyers generate insane amounts of paper, often for good reason -- though not always. But our former Undisclosed Location had a lot of shelf space and my office was big enough to hide a lot of boxes. I was crowded, especially when trying to squeeze through to my desk, but not overwhelmed. But the Teeny Tiny Law Office is maybe one-half of our old digs, with virtually no storage space. My new office is about one-third the size of the old. I had to get rid of stuff. But you just can't throw out old legal files. Doing so may -- literally -- be a federal crime (I'm thinking HIPAA here, for one). When I moved to the Undisclosed Location, early in 2006, I had to do something similar. I put 30 boxes of stuff (30 standard-size storage boxes, each measuring roughly 1.2ft³) into long-term storage in a warehouse designed just for this purpose. Non-lawyers may perhaps have a hard time imagining whole buildings devoted to the long-term storage of old paper. In my book I will have at least one chapter wholly devoted to how I became one of the world's leading experts on the real and imagined value of lawyers' stored crap. For now, though, it suffices to say that I wasn't going to open up a warehouse account just for my 30 boxes; with his permission (and, indeed, at his suggestion) I used one of my colleague's accounts instead. I'd pay my pro-rata share of the monthly storage bill -- an amount probably insufficient to buy a mocha-choka-laka-grande-latte at your friendly neighborhood Starbucks. But then my colleague died. And the storage company -- which I would have gladly paid to continue storing my records -- refused to talk to me. Anyway, when I sent out those 30 boxes of stuff, I pulled out an amount equal to or greater than that for shredding. The shredding company comes to your office, takes the paper away, shreds it in the truck while parked at the curb, and moves on to the next lawyer's junk. For this move, I was even more zealous in my purging. I have only 12 boxes of old files left -- Long Suffering Spouse and I continue to negotiate about where these will be stored at the family home -- and a huge pile of paper along one wall, waiting for the shredder. When I set up the project last week, I'd been told the shredder was coming yesterday -- but I'd received a call yesterday suggesting that the visit might be postponed into next week. The landlord has so far been understanding about my having stuff spread out between two offices (including furniture that couldn't fit in the Teeny Tiny Law Office) but I did not want to push my luck. I whined, therefore, and moaned and groveled and, eventually, after a number of calls back and forth, secured a promise that the shredder would come today. Only no one could tell me when today that might be. The nice young lady with whom I spoke at the end of the day yesterday suggested I call her first thing this morning and see how the driver's route was shaping up. The nice young lady said she'd call the driver and call me right back. After an hour or so of twiddling my thumbs, I called back. Eventually, after a seemingly interminable wait, the nice lady's supervisor told me that the driver should be here within an hour, an hour and a half at most. I hung up the phone -- and the driver appeared. I brought him down to the old office and proudly displayed my great wall of paper. It seems I'd forgotten, in the six years since I'd used a shredder, that everything to be shredded needs to be boxed up first. I knew the price was calculated on a per-box basis -- but I didn't realize that boxes were literally required. Some of the junk was in boxes anyway. He took those. He promised to come back for the rest. He even brought back the boxes he used. But I would have to pack the stuff myself before his return. I went from 0-60 in a flash. I got the job done in an hour, maybe an hour and a half. And now, again, I'm waiting. Waiting for the shredder to return. I am sitting about 35 feet or so above my former Undisclosed Location in an office about one-third the size. This is consistent with an industry-wide trend: Even big firms have been moving high-powered lawyers into smaller spaces. Downtown real estate is just too costly. But we are not mere slaves to fashion. The three of us who made this move all took smaller spaces because smaller spaces means smaller rent. This move means I'm going to have to abandon some office furniture and a considerable quantity of junk I've accumulated these last six years. I'm going to have to change my ways of doing business, I've been told, and I could not agree more. But now I have to edge sideways out of here and go back downstairs and continue the clean-up. Then I can begin to put stuff away in here. Where, I have no idea.